April ECN Meeting: "Ionic: A New Way to Build Mobile Apps"
April Section Meeting: "LENR: Energy 2.0"
Talk: Mobile app development is a growing field with plenty of promise. It used to be that hybrid mobile apps weren’t ready for prime time -- they were slow and unattractive. Then, along came AngularJS, which changed the way developers built apps for the web. Ionic, made by Madison-based software start-up Drifty, is built on top of AngularJS and has dramatically changed the way developers build mobile apps. It’s open source, easy to use, beautiful, and ready to perform. In this talk, Perry Govier, a Drifty developer, will walk through Ionic's features and structure. 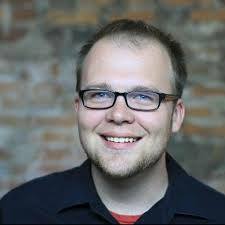 Time allowing, he'll run a quick live demo of how to get started building your own mobile app using web technologies. Talk: At the moment the most promising forms of LENR (Low Energy Nuclear Reactions some times incorrectly referred to as Cold Fusion) are those that are able to operate using nickel and hydrogen — both plentiful and inexpensive natural resources. In LENR reactions no pollutants or emissions are produced, neither are harmful radiation or radioactive waste. This makes LENR a clean and sustainable form of energy. We are in the very early days of research and development in this field, and much about this phenomenon is poorly understood. There are competing theories proposed that try to describe the exact mechanism by which this anomalous heat is generated, but none has as yet been accepted as authoritative. There are many researchers and companies studying LENR at the moment, and it appears that we are on the verge of seeing commercial-grade LENR reactors appear in the marketplace. Ultimately LENR has the potential to revolutionize the way that energy is produced — cleanly and less expensively than current energy sources, and from elements that are cheap and abundant — making it a truly ‘2.0’ technology that we feel should be promoted for the benefit of humanity. Engineers in Medicine and Biology Talk: Dr. Dennis Bahr, a Madison section member who has successfully started a number of biotech companies, talked to a joint meeting of the IEEE-Madison Engineers in Medicine and Biology Chapter and the UW-Madison Biomedical Engineering Department Seminar about his latest biotech venture involving a technology to diagnose hemorrhage leading to hemorrhagic shock. Shock is a life threatening condition that is difficult to diagnose using traditional vital signs information available to first responders, such as blood pressure, heart rate, respiration, and Sp02.This is especially true in young and healthy patients, whose vital signs don't change much until they have lost 20% or more of their circulatory system blood volume. At that point it may be too late to save them. Dennis's research suggests it may be possible to diagnose shock by measuring the time delay between the heart's electrical signals and the mechanical arrival of the pulse in the arteries of the arms. He is developing a device to measure the variations in this delay, giving first responders the ability to monitor and measure internal or external hemorrhage. He found empirically that when the blood pressure pulses pass under a blood pressure cuff the arteries in the arm snap open and can be heard as sound with a spectral peak at approximately 17Hz. When two microphones are used under the same cuff, motion artifact and noise can be removed from the blood pressure signal by looking at the phase relationships. In phase signals are noise and motion while out of phase signals are the blood pressure pulse.This device will become part of the hemorrhage monitoring system. The March Section Meeting:(Review by CJ Gervasi) Ron Pulvermacher, founder and president of Matrix Product Development in Sun Prairie, spoke to our Section about the DASH-7 wireless standard. DASH-7 is a wireless protocol structured as a “file” sharing system. “Files” in this case are commands or data about devices. DASH-7 can perform functions similar to Bluetooth Low Energy (BLE), but with DASH-7, both sides of the link are designed for low power. In BLE, only the slave side is designed to be low power. A DASH-7 master can ask all nodes that are observing a particular condition to respond, allowing all other units to save power by staying silent. Dash-7 operates in the sub 1 GHz band. The 433MHz frequency is popular in Europe where the power limits on that band are higher. Using the 433 MHz band also buys users 15 dB less path cost compared to the 2.4GHz band used for BLE, Zigbee and 802.11(g) Wi-Fi. DASH-7 modulation is 55kbps GFSK, much slower than BLE’s 1 Mbps GFSK, which provides DASH-7 more link budget but does not affect power budget. Matrix is implementing a DASH-7 network on the CC430, a low-cost TI MCU with a built in radio. In Summary, Dash-7 is a sub-gigahertz Bursty, Lightweight, Asynchronous, Stealth, Transitional (BLAST) wireless protocol. 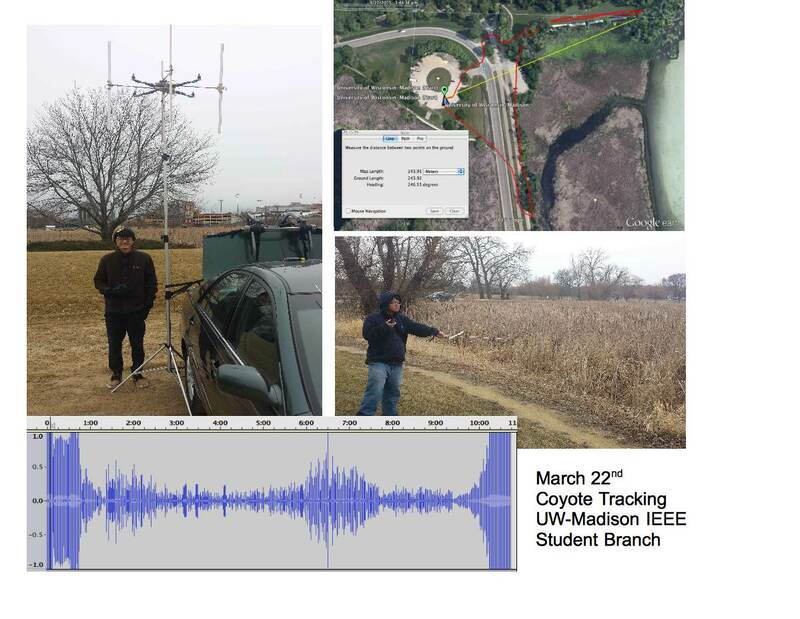 UW-Madison IEEE Drone Project: The UW-Madison Student Branch has formally started the project to equip drones with RDF antennas and equipment for tracking both wildlife, and people who wander, such as people with Autism or Alzheimer's. Ten students have signed up for the project and meet on a regular basis. They have formed a Google Group and have set up a git site for logging software. Students used prototype antennas to track coyotes in the Picnic Point area. April Meetings: For April, the ECN Meeting has been moved early one day (on April Fool's Day - Wednesday instead of Thursday) to allow Perry Govier to talk just before he attends a meeting in Japan. Perry is a developer for Ionic code at Drifty, a fast growing local startup whose products are gaining significant market share. 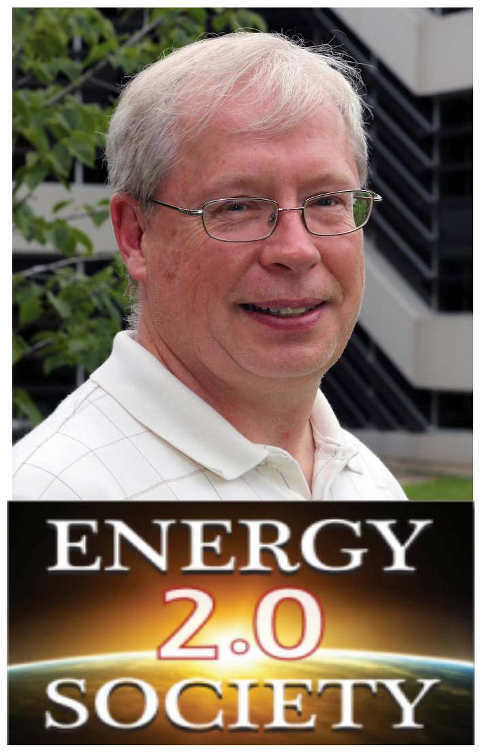 The IEEE-Madison April Section Meeting (note the Day and Time change so as not to conflict with Engineering Expo at UW) will feature an IEEE member from Iowa who has helped to form the Energy 2.0 Society. Its goal is to make people aware of an emerging new energy technology called LENR. As of this date, there have been several documented tests of the technology that show a COP of greater than 3 with an energy density in the realm of nuclear reactions, but with no harmful radiation or radioactive byproducts. It promises to be a significant new technology that is sorely needed in the face of global climate change. This meeting is held jointly with the UW-Madison IEEE Student Branch in 1800 Engineering Hall. For those interested in reading more about LENR inventions, an eBook about the principle inventor, Andrea Rossi, entitled "An Impossible Invention" is available at this link with a %10 discount for IEEE members by entering "IEEE" (no quotes) at checkout. The book is written by Mats Lewan, speaker, author and tech journalist, focused on cutting edge technologies and their increasing impact on our society. David Marca Memorial Fund: Students used our last year's donations to fund several projects. The top student groups were awarded prizes from other sources for Coride (a ride sharing Ap), Drsti (A sustainable Vitamin A source), and raPID (a long-life nuclear battery) as shown here. 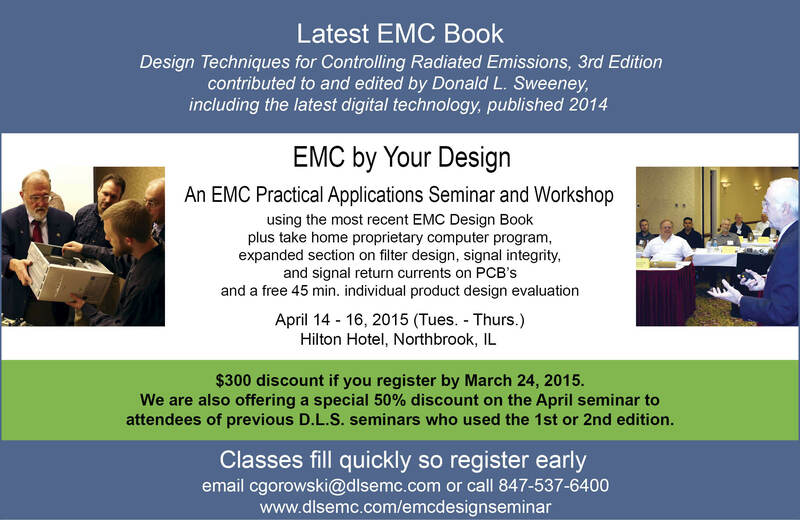 The IEEE donations to this fund acted as seed capital for the student projects. Consider making a contribution this year to the fund in David Marca's memory. If members would like to make contributions, they can follow this link to donate. Under Designation select Other - detailed below. In the detailed instructions field enter The David Marca Memorial Fund for Student Energy Projects and Fund # 12347896. 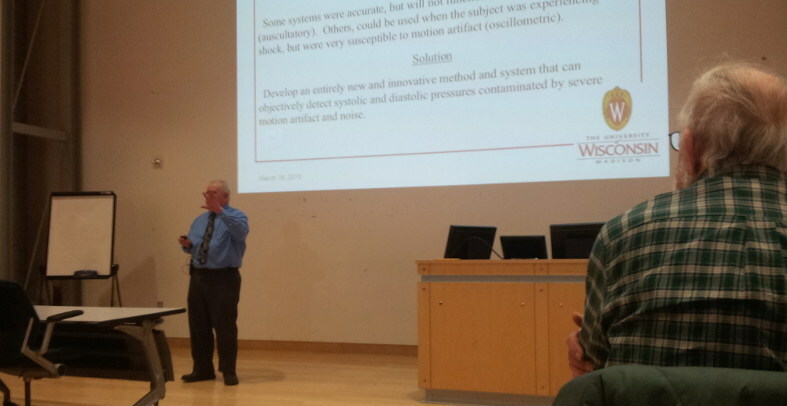 The professor responsible for WESC contest estimates the fund will disburse just over $1,000 per year. 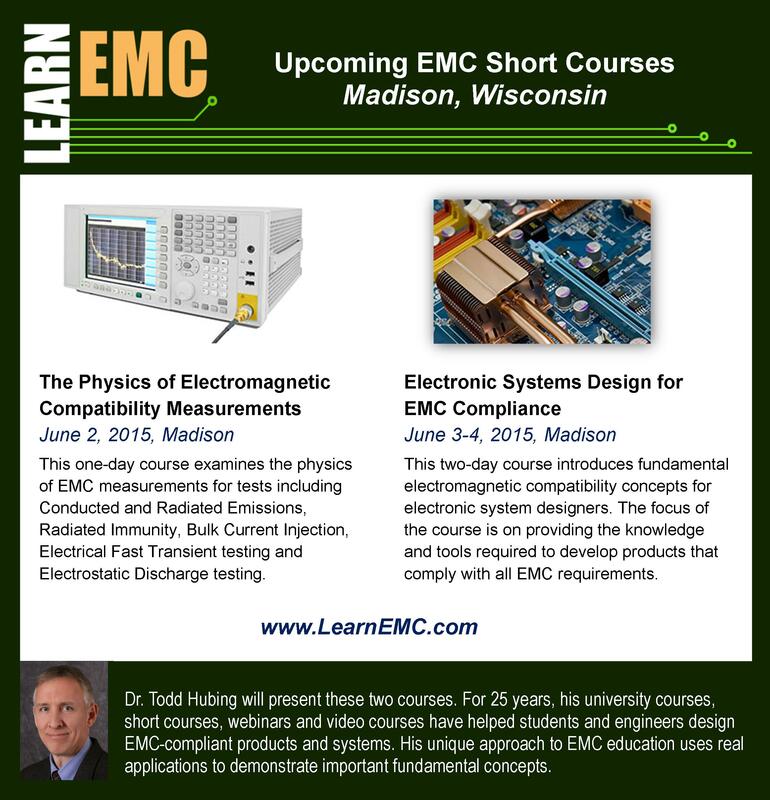 Please join members of the IEEE-Madison Section executive committee who worked with David and donate to this fund.